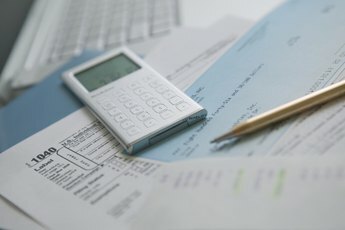 Is Mortgage Interest or Charitable Giving the Highest Tax Deduction? Take advantage of all your tax deductions. Taking the plunge into home ownership and donating to charity both come with their own sets of rewards. When you own your own home you enjoy the freedom of no longer making someone else’s mortgage payments through your rent. When you donate to charity, you feel good about helping others. Both also come with financial rewards, since mortgage interest and charitable contributions can be written off from taxable income under certain conditions. Mortgage interest and charitable donations are both deductions called Below the Line. An above the line deduction is one you take off your gross income to calculate your adjusted gross income (AGI) on page one of your 1040 tax form. 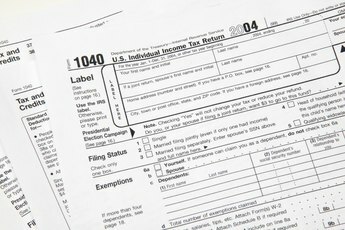 You itemize below the line deductions on Schedule A (form 1040) and subtract them from your adjusted gross income to calculate your taxable income. Since mortgage interest and charitable donations are both below the line deductions, they reduce your taxable income in the same manner, so neither one has a greater effect than the other. You can generally write off gifts of cash or property to a qualified charitable organization. You have to give the IRS a bank record or written acknowledgement from the charity to claim cash donations. For gifts other than cash, like clothes and household items, the item must be in “good” condition. To write off anything worth over $500 you’ll have to provide the IRS some sort of proof like an appraisal or receipt. An advantage of charitable giving is that you can also donate assets that have gone up in value. If you sold it you’d have to pay capital gains taxes on the profit. If you donate it you can get a writeoff for the current appraised value, not what you originally paid for it. Charitable donations are limited to 50 percent of your AGI, except for appreciated assets where the percentage drops to 30. If you find yourself with deductions higher than your limit, you can carry forward unused deductions for up to five years. You can write off your mortgage interest if the loan is a secured debt on a qualified home. A secured debt means that the home could be used to pay off the loan if you couldn't make your payments anymore. A qualified home is your main home, but it can also be a second home that you don’t rent out. If you rent it out you have to stay in it for a minimum number of days during the year. A home is any property that has facilities for sleeping, cooking and toilets, so that excludes mortgages on land only. Under the IRS rules for the end of 2012, you get a full deduction if your mortgage is under $1,000,000 ($500,000 if married filing separately), except for home equity mortgages where your limits are $100,000 ($50,000 if married filing separately). Whether mortgage interest or charitable donations turn out to be the highest deduction is entirely up to you. They both reduce your taxable income equally so the highest deduction will be whichever written-off amount is higher. Mortgage interest in a fixed-rate mortgage is pretty much already determined and the amount will go down steadily during the term of the loan, as more of your monthly payments go toward principal. Charitable donations are entirely in your control and your deduction amounts will depend on your tax planning and charitable activities. 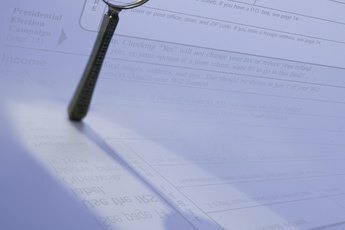 Can Co-Borrower Claim Mortgage Interest Paid on Taxes? What Is the Maximum Upper Limit for Charitable Federal Tax Deductions in the United States? Is Mortgage Interest an Above-the-Line Deduction? Does Mortgage Interest Help on Taxes?